Hospital merger bid underscores a policy dilemma: Will it take more or fewer players to control health care costs? Chief executive Gary Gottlieb is leading Partners HealthCare through a period of expansion, change, and uncertainty in the health care industry. What’s the best way to control costs in health care? Is it more competition between a larger number of hospitals and doctors in a geographic area? Or is it better coordination within bigger but fewer provider networks? With pressure mounting to rein in medical costs, that debate — seemingly more suitable for a health policy seminar — forms the backdrop for the mating dance underway in the heath care market as hospitals across the state and nation seek to consolidate. And it colors the deliberation of regulators weighing a bid by the region’s largest hospital and physicians organization, Partners HealthCare System, to grow even bigger. “If you want to study the integration that’s being encouraged and the market concentration that can result from that, people will be looking at this case as a model” for how regulators strike that balance, said Harvard Business School professor Robert S. Huckman. The pace of hospital mergers has picked up in recent years, and extended to doctors groups, rehab centers, and other providers. That comes in response to government incentives to form networks known as “accountable care organizations” that can make health care more efficient through better managed and coordinated treatment of patients. At the same time, antitrust regulators are stepping up their scrutiny of health care consolidation, driven by the time-honored economic principle that more competitors in any market will bring down prices and result in better service. “Combinations in restraint of trade,” in antitrust lingo, can create a market where the dominant players raise prices at will. US regulators last summer moved to block the merger of two hospital systems in Georgia. They notched a victory last month in a closely watched case in which a federal judge ordered Idaho’s largest hospital system to unwind its acquisition of the state’s largest independent physicians network. In that case, the Federal Trade Commission argued that letting St. Luke’s Health System of Boise join forces with Saltzer Medical Group would be anticompetitive. The Health Policy Commission voted 9 to 0 Wednesday to refer to the AG’s office a report that warns Partners’ proposed hospital takeover could result in higher costs. But the merger partners contended their alliance would lead to more integrated care, eliminating the waste and inefficiencies that make medical services so costly, an explicit goal of the 2010 federal health care overhaul known as the Accountable Care Act. That’s the identical argument made by Partners, the Boston-based system seeking to acquire South Shore Hospital in Weymouth and the Hallmark Health hospitals in Medford and Melrose. But the state Health Policy Commission, a two-year-old watchdog agency charged with containing health costs in Massachusetts, didn’t buy Partners’ argument. The panel voted 9 to 0 Wednesday to refer to state Attorney General Martha Coakley a report warning that Partners’ proposed takeover of South Shore Hospital and affiliated Harbor Medical Associates would result in higher costs and reduced competition. The report, by the commission’s staff, said the acquisition would boost payments by the state’s three largest health insurers by $23 million to $26 million a year, overwhelming savings from greater efficiencies. 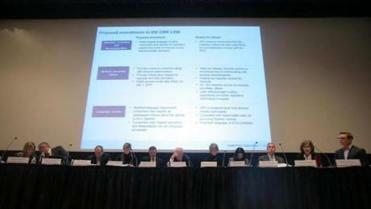 Commission member David Cutler, a Harvard economics professor, said the proposed merger held the potential for savings. But a plan to achieve savings wasn’t presented in the “credible, specific, detailed fashion that would allow us to understand . . . whether this is good for the people who are paying for medical care,” Cutler said. Coakley’s office will evaluate the South Shore affiliation in the context of a broader investigation it has conducted with the US Department of Justice over the past four years. 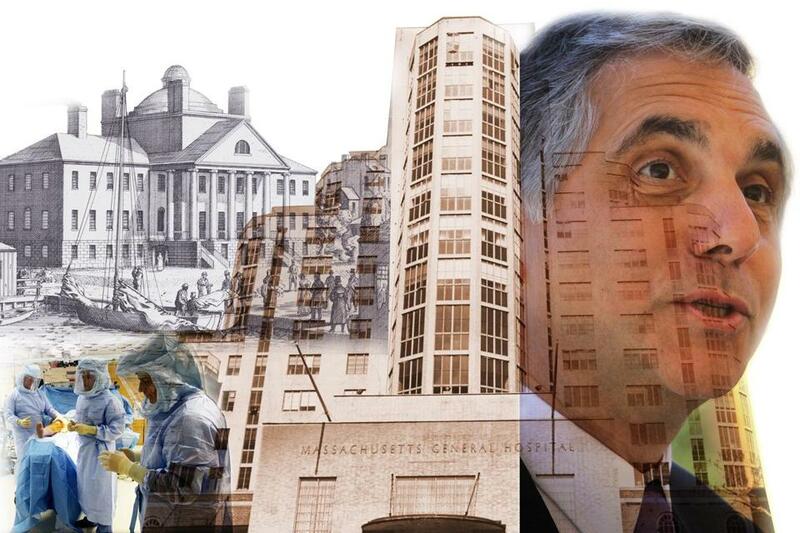 Investigators have looked into alleged anticompetitive behavior by Partners, which owns Massachusetts General, Brigham and Women’s, and eight other hospitals and has about 6,000 doctors. Studies by Coakley’s office have repeatedly found that Partners’ market power allows it to command some of the highest insurance reimbursements in the state. The pace of hospital mergers has picked up in recent years, and extended to doctors groups, rehab centers, and other providers. With state and federal antitrust authorities expected to act in coming weeks, Partners has pursued a two-pronged strategy. It is quietly negotiating with regulators to forge an agreement that would allow its South Shore acquisition to go forward with cost containment conditions. At the same time, it is building community support for the merger, highlighting benefits it says will come to the South Shore. In fact, many South Shore business and political leaders, as well as residents, back the merger, said state Senate President Therese Murray, a Plymouth Democrat whose district includes South Shore Hospital. Murray helped craft the state’s 2012 cost containment law that created the Health Policy Commission and her former staffer, David Seltz, is the commission’s executive director. But, she said, the Partners deal “would be good for the South Shore” by bringing more specialty care to Weymouth and sparing many patients the trip to Boston for more complex care. If talks between Partners and antitrust regulators fail to reach a settlement, Coakley’s office and the Department of Justice could file a lawsuit to block the South Shore Hospital deal. That could result in a lengthy court case that almost inevitably would thrust the issue of how best to control health care costs — competition or integration — into a national spotlight. In that situation, Partners, like other providers seeking to consolidate, would be expected to demonstrate successes in reining in costs rather than merely promise to do so, said Yale economics professor Fiona Scott Morton, a former deputy assistant attorney general for economic analysis in the Justice Department’s antitrust division. Another former antitrust regulator, Leemore S. Dafny, management and strategy professor at Northwestern University, said regulators are likely to be skeptical of claims by hospitals that consolidation will more effectively control costs than competition. She cited research showing that past hospital mergers have resulted in price increases without showing improvements in efficiency or quality of care.